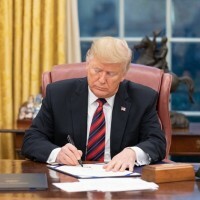 •	U.S. President Donald J. Trump has signed into law the Asia Reassurance Initiative Act (ARIA), which has already been passed by the U.S. Senate. •	The ARIA Act, specifically, calls for America’s increased engagement in the Indo-Pacific region and strengthened support, including arms sales, for U.S. allies in the region. •	The act develops a long-term strategic vision and a comprehensive, multifaceted, and principled United States policy for the Indo-Pacific region. •	Authorizes US$ 1.5 billion annually for 5 years to enhance U.S. presence in the Indo-Pacific. •	Reaffirms U.S. security commitments to our allies in the Indo-Pacific, including Japan, South Korea, and Australia and builds security partnerships with nations in Southeast Asia. •	Establishes a policy goal to peacefully denuclearize North Korea though the campaign of maximum pressure and engagement. •	Enhances the U.S. diplomatic, economic, and security relationship with India. •	Enforces U.S. freedom of navigation and overflight rights in the Indo-Pacific. •	Expresses support for regular arms sales to Taiwan and to enhance the economic, political, and security relationship between Taiwan and the United States. •	Promotes robust cybersecurity cooperation with our allies in the region. •	Sets U.S. policy to pursue effective arms control and nuclear nonproliferation policies in the Indo-Pacific region. 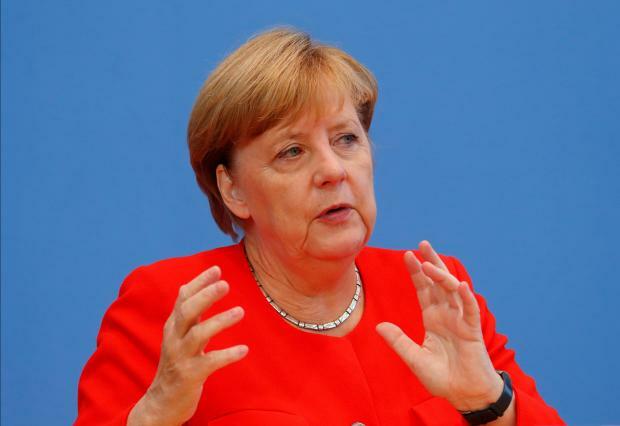 •	Hundreds of politicians, including Chancellor Angela Merkel, have fallen victim to a massive online leak of private data in Germany. •	A government spokesperson said personal data and documents belonging to several politicians and public figures have been published on the internet. •	A preliminary investigation indicated that no sensitive information or data from Merkel`s office has been leaked. •	The stolen data, which comprises personal addresses, mobile phone numbers, letters, invoices and copies of identity documents, was published online via Twitter in December last year. However, the leak only came to light this week. •	The Federal Office for Information Security and the domestic intelligence service said they were investigating the leak. •	The yellow vest protesters have written an open letter to French President Emmanuel Macron and have called for new demonstrations. •	The open letter, in response to Macron`s New Year`s speech, said the President has failed to understand the legitimate expectations of the French people. •	The letter further said that national consultations announced by Macron in November last year were a political trap, aimed at avoiding discussions of the protesters` key demands. The letter was published on Facebook on Friday. •	Meanwhile, the protesters have renewed their calls for protests on tomorrow. •	The day will also witness the first women`s yellow vest event which is set to take place in Paris. •	Britain warned Russia against playing diplomatic chess games following the arrest of Paul Whelan, an ex-Marine with the dual UK and US citizenship, on charges of espionage. •	Foreign Secretary Jeremy Hunt told media that Britain does not agree with individuals being used in a diplomatic tussle. •	He added that Britain has offered consular access to Whelan but has not been able to visit him yet. Hunt said that the Foreign Office is also actively considering to change its travel advice for British citizens going to Russia. •	Whelan, who has denied the charges, could face up to 20 years in prison if found guilty. •	The United States warned its citizens that they could face arbitrary action by authorities when they visit China. •	Updating its travel advisory, the State Department maintained its previous guidance that Americans should exercise increased caution in China. •	It also advised caution over last-minute security checks and curfews in Xinjiang and Tibet. •	The warning comes after China last month detained two Canadians on charges of activities that endanger China`s security. •	A poster exhibition on the relevance of Bhagavad-Gita combined with the thoughts of Mahatma Gandhi is being organized under the aegis of the Consulate General of India, Dubai and VijnanVikas Pattern Institute. •	The two day exhibition which will be inaugurated by the Consul General Vipul will showcase a variety of hand-crafted Khadi products from the Khadi Gramodyog Bhavan. •	The exhibition is being organized as part of the 150th birth anniversary celebrations of Mahatma Gandhi. •	Gita Intelligence will show-case the sustainable, inclusive, and enriching strategies for success and fulfilment in life and living, enshrined in the divine ure. •	The bottom-line is about tapping the infinite potential of The Self, be it in workplace, academics, home or in the society in general. •	China has developed a massive bomb, said to be the country`s answer to the US-built `Mother of All Bombs`, the most powerful non-nuclear weapon. •	A state-run Global Times reported that China`s defence industry giant NORINCO for the first time showcased the aerial bomb, the country`s largest non-nuclear bomb. •	The daily said it is dubbed as the Chinese version of the "Mother of All Bombs" due to its huge destruction potential that is claimed to be only second to nuclear weapons. •	The bomb was airdropped by an H-6K bomber and caused a gigantic explosion, as revealed in a promotional video released by China North Industries Group Corporation Limited (NORINCO) on its website at the end of December. •	A state-run Xinhua News Agency reported this is the first time the new bomb`s destructive powers have been shown in public. Last year, while waging war against militants in Afghanistan, the US military dropped a Massive Ordnance Air Blast weapon, more commonly known as the "Mother of All Bombs," on the Islamic State. •	Although China is using the same nickname for its bomb, said to weigh several tonnes, the Chinese weapon is smaller and lighter than its American counterpart. •	To match the US weapon, Russia developed the "Father of All Bombs" which is both bigger and thermobaric, meaning it uses gas to create a huge fireball rather than a shockwave. 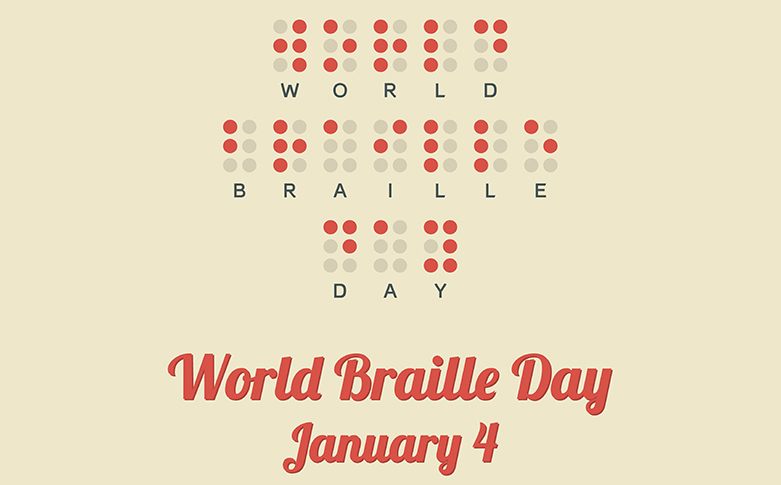 •	The world Braille Day is being celebrated on 4th Jan. The day is marked remembering the birth anniversary of Louis Braille, the inventor of Braille - for the people with visual disabilities. •	Louis Braille was born on 4th January 1809 in the town of Coupvray in northern France. At the age of just 3, he lost his both eyes in an accident. This resulted into the invention of the of 6 dots- which is popularly known as braille. •	World Braille Day is marked annually on January 4 after the day was proclaimed by the General Assembly last November, as a means of realising fully the human rights of visually-impaired and partially-sighted people, and bringing written language to the forefront as a critical prerequisite for promoting fundamental freedoms. Around the world, 39 million people are blind, and another 253 million have some sort of vision impairment. •	Regional News Unit of AIR Ahmedabad is pioneer in live Radio news reading by blind person in India. •	The first such news bulletin was read by Mr. Ranchhod soni- a teacher`s of Blind People`s Association - whose name was recorded in Limca Book of world records for reading first live reading of braille news bulletin. •	According to 16 years long tradition of RNU - Ahmedabad, the second half of five minutes of 10 minutes evening news bulletin is being prepared in Braille with special typewriter. After some rehearsals, blind person- deputed by Blind Peoples Association- Ahmedabad is reading it live- along with regular news reader of AIR. •	The aim of this initiative is to spread awareness among the society about the plight and cause of the people with visual disabilities. •	China`s President Xi Jinping has said that China will not give up the use of military force as an option to ensure the reunification of Taiwan, while insisting the island would ultimately be reunified with the mainland. •	Xi further said, Beijing reserves the option of taking all necessary measures against outside forces that interfere with peaceful reunification. •	One day ahead of Mr Xi`s speech, Taiwan`s president Tsai Ing-wen said, Beijing should respect the insistence of 23 million people on freedom and democracy and accept the existence of Taiwan and use peaceful means to resolve its differences. •	Taiwan is a self-governed democracy and for all practical purposes has acted as an independent nation since 1950, when China`s nationalist government was defeated by communist forces. •	China, however considers the island to be a renegade province, not a country in its own right. •	Far right Leader Jair Bolsonaro, was sworn in as president of Brazil. •	Mr. Bolsonaro took over as President at a ceremony held at the National Congress building in the capital Brasilia. •	In his inaugural speech, Mr. Bolsonaro promised to build a society without discrimination or division. •	He told Congress that he wanted a national pact to free Brazil of corruption, crime and economic mismanagement. In a swipe at the left, he vowed to free Brazil of ideology. •	Contesting from Social liberal party, Mr Bolsonaro, won the presidential election by a wide margin against Fernando Haddad of the left-wing Workers Party on 28 October. •	Afghanistan`s presidential election will be delayed until July 20 next year, three months later than the ballot had been scheduled to be held. •	The announcement by the Independent Election Commission comes after weeks of speculation that the vote would be postponed to create space for US-led efforts to end the 17-year war with the Taliban. 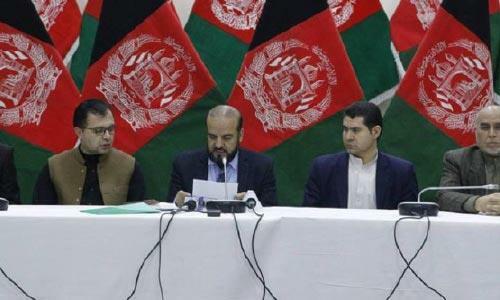 •	The election commission chief said, provincial and district council elections, as well as a previously postponed parliamentary vote in Ghazni province, will be held on the same day. •	The presidential ballot was originally scheduled for April 20. •	Russian President Vladimir Putin has signed an executive order on setting up an interdepartmental commission to ensure the country`s effective participation in the Group of 20 industrialized nations. •	Putin appointed Russia`s G20 Sherpa Svetlana Lukash as chair of the interdepartmental commission. •	The 17 member strong commission is meant to coordinate work of federal agencies in ensuring Russia`s participation in annual summits. •	US President Donald Trump denied abandoning his plan for a "concrete wall" along the border with Mexico and said that part of the proposed barrier will be `see-through`. •	The idea of the concrete wall was abandoned very early in the Trump Administration. •	Trump has been seeking a USD5 billion in Congressional funding for the wall, which he believes is essential to stop the flow of illegal immigrants into the US. •	The opposition Democratic party has opposed such a funding and blocked its passage from the Congress. The stalemate has resulted in a partial federal government shutdown for more than a week now. •	The Democratic party enjoys a majority in the US House of Representatives. •	Iraq sentenced more than 600 foreigners including many women and dozens of minors in 2018 for their alleged links to the Islamic State. •	More than 300 suspects linked to IS had received death sentences and more than 300 others were sentenced to life, which in Iraq is equivalent to 20 years. 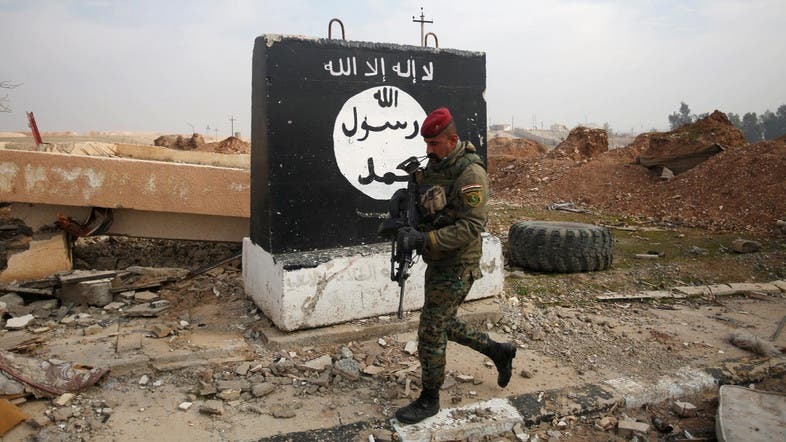 •	Judicial spokesman Abdel Sattar Bayraqdar said that more than 600 men and women accused of belonging to IS have been put on trial in 2018 and sentenced under Iraq`s anti-terrorism law. •	Iraq declared victory over IS at the end of 2017 after a three-year war against the IS terrorists, who once controlled nearly a third of the country as well as swathes of neighbouring Syria. •	Around 20,000 people suspected of links to IS have been arrested since 2014.